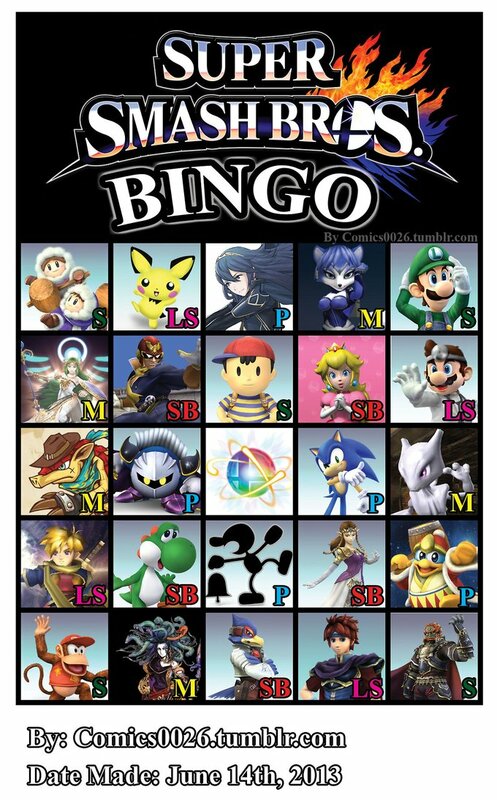 Super Smash Bros Bingo. . HD Wallpaper and background images in the Sonic the Hedgehog club tagged: photo ice climbers pichu lucina krystal luigi palutena captain falcon ness peach dr. mario dillon meta knight sonic mewtwo isaac. This Sonic the Hedgehog photo contains stained glass window, slot machine, and coin machine. 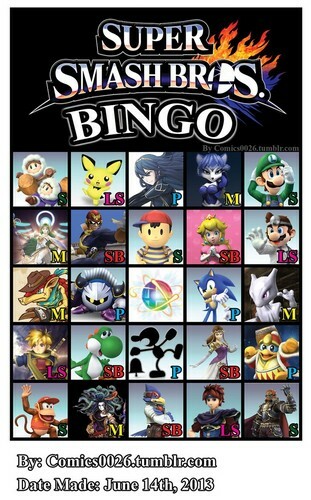 There might also be slot, one armed bandit, anime, comic book, manga, and cartoon.